Our D-Day Tours of the Normandy Beaches, landing sites and battlefields are run from our home in Brittany, an hour’s drive away. We have lived permanently in France since 2010 and we love every minute of it. We run our successful holiday gite business from our beautiful home in Brittany only 30 minutes from the historic Abbey of Mont St Michel. Our location not only allows our visitors to visit the Normandy beaches but also to explore the great battles for St Lo and Operation Cobra. We are also near to the Port of St Nazaire, scene of the famous ‘Raid on St Nazaire’ in 1942. Malcolm is one of the best-regarded tour guides in Normandy. His many glowing testimonials and Tripadvisor reviews speak for themselves. We have been lucky to host some very interesting guests over the years and they have been kind enough to say some very nice things about our tours. Malcolm knows the Normandy coast and the battle sites extremely well and he provides a level of detail and colour in his tours that really brings the events to life. He is an acknowledged expert on Operation Overlord and the Battle for Normandy. Malcolm Clough combines a degree in War Studies with a practical enthusiasm that breathes life into his tours. One of the very best battlefield guides in Normandy. Alison Clough extends a warm welcome to every guest at our beautiful farmhouse accommodation. A former food and catering teacher and a renowned cook. 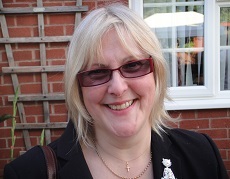 Alison is a former Assistant Head Teacher who taught Food and Catering for over 25 years. She is an excellent cook and has managed teams catering for large and small exclusive functions in France. Alison is very proud of the warm welcome and high standard of accommodation we provide for all our visitors. Pete Shuter is a former Police National Firearms Instructor. He has a vast experience of older and modern firearms, with an excellent knowledge of Second World War Infantry weapons and tactics. During our residential tours Pete presents lively, entertaining evening talks on infantry weapons used in the Normandy Campaign. On D-Day Pete’s father’s cousin, Cpl Wilfred Shuter landed on Juno Beach with The Queen’s Own Rifles of Canada. Your hosts and guide, Malcolm and Alison Clough. Whether you want a good overview of the highlights of the D Day landings, or a detailed tour, Malcolm and Alison will cater for your every need. ‘A trip to the Normandy Beaches is a must…A sobering view of our history made even better if you avail yourself of Malc’s guiding’… Alan & Julie Evans, Sutton Coldfield, UK. ‘I would highly recommend Malcolm’s battlefield tours…truly fantastic. 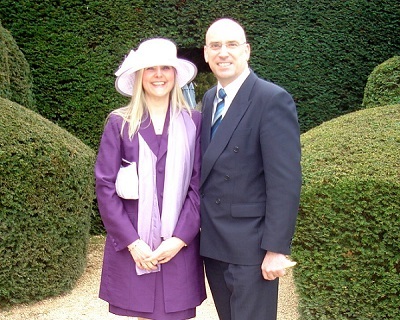 Malcolm is very knowledgeable and his explanations bring the events to life’… Andrew Moore, Redditch, UK. ‘You have been wonderful hosts and guides. You have helped us achieve our lifetime’s ambition of exploring some of the D-Day landing sites. The food has been out of this world’… Keith Beck, Solihull, UK. ‘Malcolm couldn’t have been more knowledgeable or obliging. Nothing was too much trouble and the tour itself was fascinating. I thought the whole thing was amazing value for money and I would be happy to recommend it to anyone’… P. McArdle, Castlebellingham, Ireland. ‘Had a great time, accommodation is excellent and the food superb. 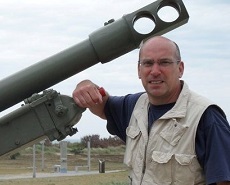 Malcolm’s knowledge on 2nd World War Battlefield sites of Normandy has been impressive.’… Steve Goult, Worcestershire, UK. The accommodation was wonderful. Full of lovely little extras and thoughtful details. I was delighted to lie by the pool and leave the beach assaults to my husband… C. O’Dwyer, Dublin, Ireland.